The actor Sakakiyama Danshirô I held this name from the 12th lunar month of 1740 to the 10th lunar month of 1742, then from the 11th lunar month of 1743 to 1757. Dates of birth and death unknown. Unknown relationship with the Sakakiyama clan. 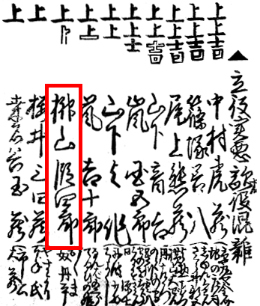 A minor miyaji shibai actor named Sakakiyama Danshirô II was recorded in the 1778 Kyôto hyôbanki. 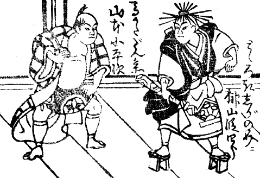 He performed male roles within the precincts of the Rokkakudô temple in Kyôto. No record afterwards.